Coming off of a 15-4-2 season, the women’s soccer team looks to have an even greater season this year. Last year was the first time in 7 years that the team made it to the East Coast Conference. 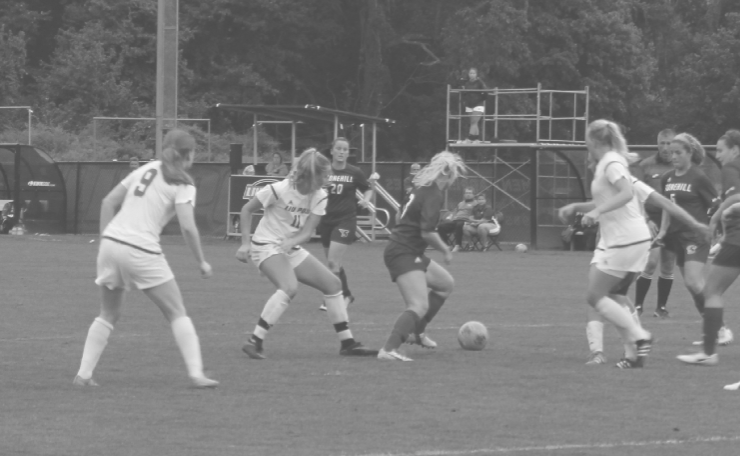 The women’s soccer team started their season with a win over Southern Connecticut State University with the final score 5-0. Freshman, Julia Duffy lead the way with 2 goals, freshman forward Erin O’Connor, sophomores Andrea Huntzinger and Alice Schonfeld also scored goals. Coach, Mark Dawson, states that the 12 freshman joining the team have “Great chemistry,” and has high expectations for the freshman, stating “I expect big things from them. I expect them to be ready and play the same game they have been playing their whole lives,” he said. “The team is always trying to get better, we are trying to get one step further than last year. There is always room for improvement,” Dawson said. The next game will be on Oct. 21 at 12:30p.m. against Saint Thomas Aquinas College in Sparkhill, NY.